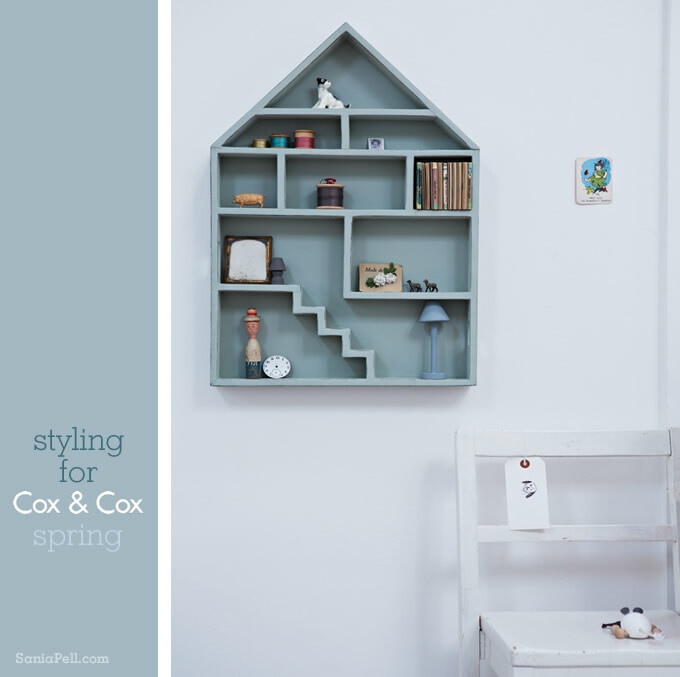 I thought I would share a selection of shots from the last Cox & Cox catalogue I worked on, styling their new Spring product range. 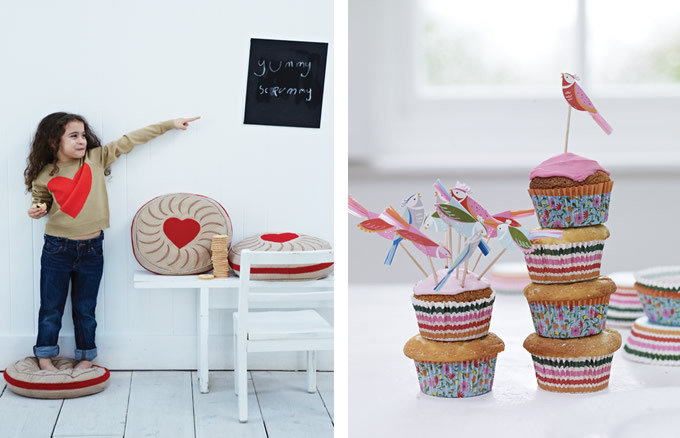 My favourite images in the catalogue are from the children’s shoot days where there is a mixture of still lives and model shots, with the energy and fun that the children’s characters added to the images and sparkle to the products. 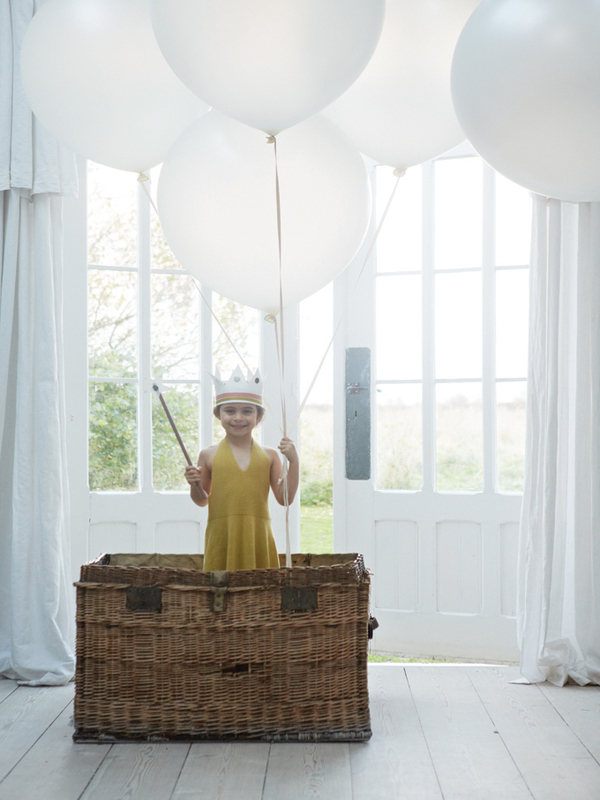 I think my favourite of all is the little girl in the basket, looking as if she is about to float up in her hot air balloon and wearing a crown and wand that I made as props for the shoot. 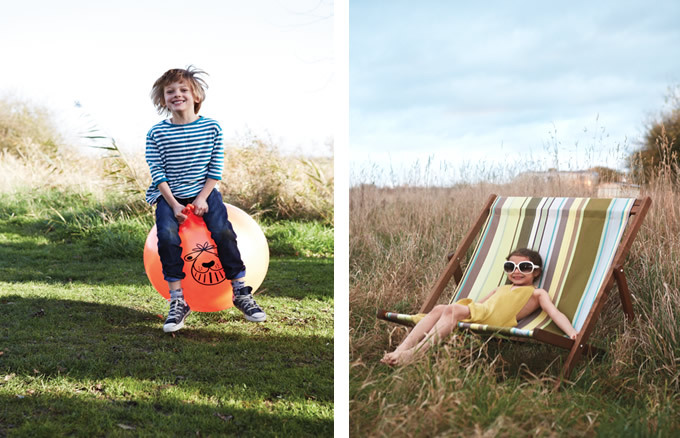 For many more images browse the kids’ range in their online shop here or you can order the free Cox & Cox brochure here. Those are really lovely pictures. 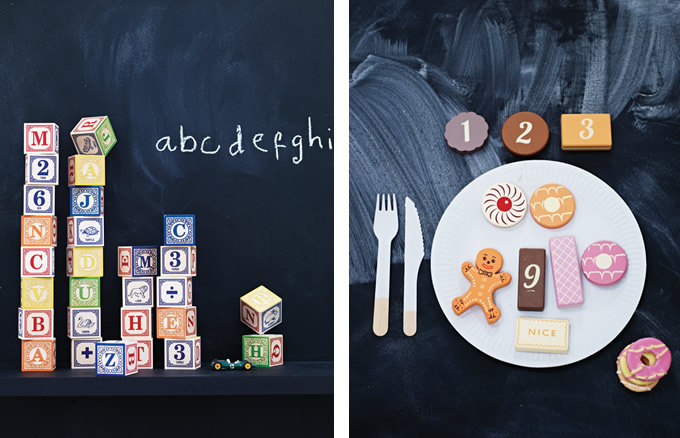 I love the colours and the styling of the little girl in the different pictures, very poetic! These photos are just stunning. I am in love with that suitcase in the last picture. I am loving the very last photo – it is super cute. 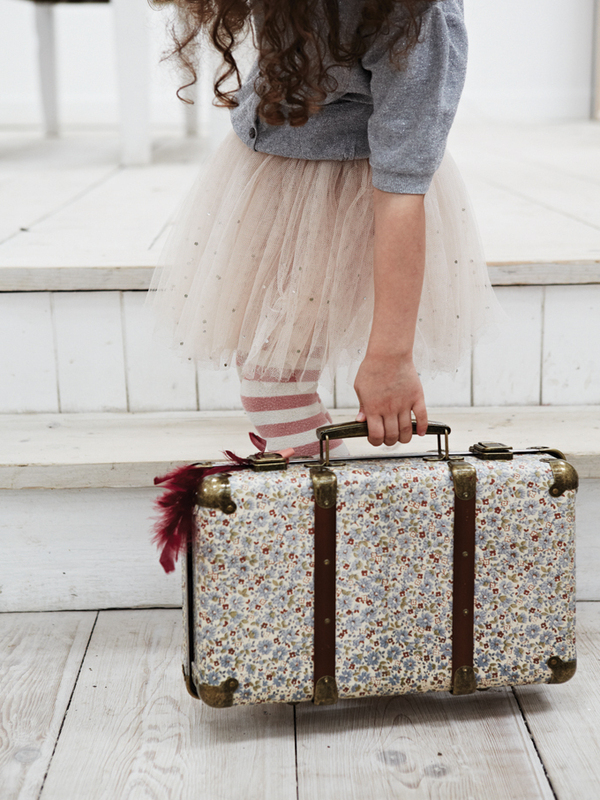 The girl with a boa in her floral suitcase, ready to get dressed up. 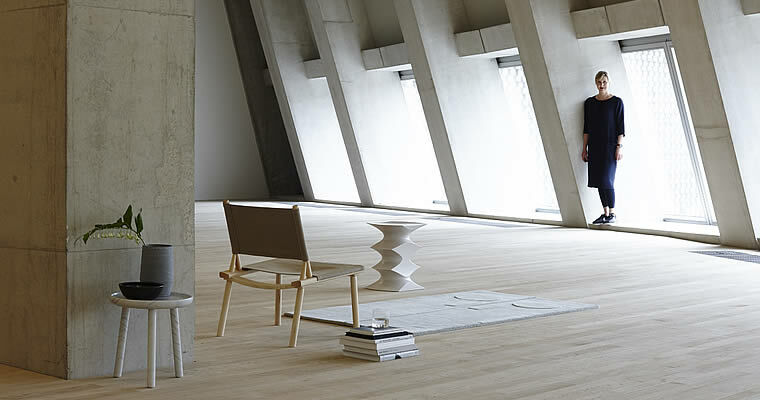 Reminds me of my own childhood… Love everything actually! Great job on the styling Sania, really! 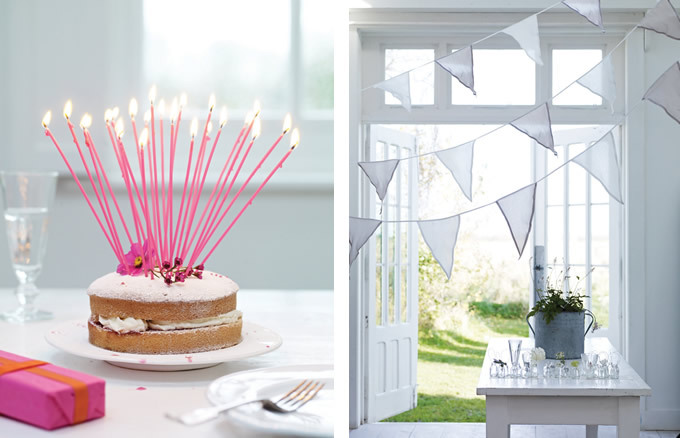 Wondering where you found the amazing oversized white balloons?! Your site is gorgeous!! The little girl in the basket is my favorite too. Beautiful photos.